The year-end roundup post has become something of a New Year tradition, to the point where some might argue they have become a cliché. But just because they are ubiquitous doesn’t mean they aren’t worth something — at their best, I think they force us to sit back and take stock of what happened during the year, and often patterns will emerge that even we might not have fully appreciated at the time. In that spirit, I decided to take a look at some of the things that I found most interesting in the media-sphere this year, and what I came up with reinforced my view that despite all the turmoil and upheaval, this is a tremendously exciting time to be a journalist — or for that matter, anyone who is interested in journalism and the flow of information. Like my friend Dan Gillmor, I am enormously optimistic about what is happening, despite (or in some cases because of) the disruption. 1) First Look Media: Any list that didn’t include the new company funded by eBay (s ebay) billionaire Pierre Omidyar wouldn’t have much credibility, in my view. The idea that someone is willing to spend $250 million on a brand new investigative journalism venture is compelling enough, but the fact that it includes crusading journalists such as Glenn Greenwald, Laura Poitras and Jeremy Scahill makes it even more interesting. Will it succeed as a business and/or as a journalistic effort? I wouldn’t pretend to know the answer to that. But it is certainly going to be fascinating to watch, in part because of the unusual structure that Omidyar has chosen for the company, which hints of further media innovations to come. 2) Bezos + Post: Before Pierre Omidyar came along, the $250-million deal that had everyone talking was Amazon (s amzn) founder Jeff Bezos’s acquisition of the struggling Washington Post. So far, the Amazon CEO hasn’t given much indication of what he has in mind for the newspaper, but I am hoping that he decided to buy it because he has some ideas about how the media business needs to evolve to take full advantage of the web. That’s a lesson more media outlets (both old and new) could afford to learn, and Bezos is just the guy to teach them — Amazon is driven by a fundamental commitment to customer service, and thinking of readers as customers is something that newspapers have never been very good at. 3) The Information: Jessica Lessin’s new subscription-only news site isn’t the only such offering around by any means — Andrew Sullivan continues to pursue a somewhat similar model with The Daily Dish, which has raised close to $1 million from subscribers. But the venture from Lessin, a former Wall Street Journal reporter, is interesting in part because it is asking for a lot from readers: a subscription costs $400 a year, which is more than an introductory subscription to the WSJ itself, and non-paying readers get nothing. It’s not clear whether Lessin’s attempt at a “hard paywall” will work (she told me why she thinks it will in a recent interview), but it will also be fascinating to watch as it evolves. 4) Circa: There are a number of media startups out there, but one I am paying close attention to is Circa, the mobile-first news application founded (and funded) by Ben Huh of I Can Has Cheezburger fame. It was launched last year, but some of the most interesting developments in the service occurred this year, so I think it’s fair to include it. In the interests of disclosure, I am friends with many of the key players at Circa — including CEO Matt Galligan, editor-in-chief Anthony De Rosa and director of news David Cohn — but that’s not why I find it interesting. It’s because Circa is one of the only media players I can think of that is trying to rethink how we consume news on a mobile platform, rather than just repurposing or redesigning existing content, and that’s a fundamental question. 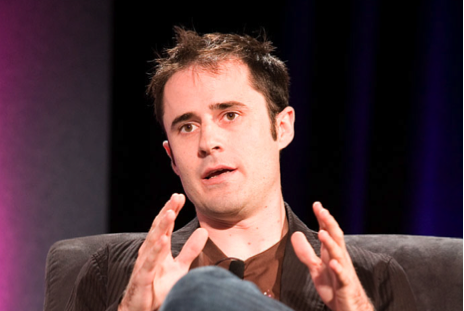 5) Medium: Another media entity that didn’t launch this year but has only gotten more interesting is Medium, the blogging platform/magazine run by former Twitter (s twtr) CEO and Blogger founder Evan Williams. Medium would arguably be worth watching under almost any circumstances — since its creator was involved at an early stage with two of the most disruptive publishing tools of the internet age — but Medium is even more interesting because no one is quite sure what it is yet. Is it a platform for anyone to publish, or a magazine-style curated editorial experience? Williams has argued that it is both, but I think there are some inherent tensions in trying to ride both horses at the same time. How those tensions affect the service and its ability to grow and/or become a business remains to be seen. 6) Brown Moses: I saved one of the most fascinating developments of 2013 (and possibly of 2014 as well) for last. Although British blogger Eliot Higgins, known to many as Brown Moses, has been doing his thing for some time — that is, crowdsourcing the verification of military weaponry using his blog, YouTube and Storyful’s “open newsroom” on Google+ — he came to the attention of a much broader group of media-watchers this year, thanks in part to profiles in both the New Yorker magazine and Huffington Post (I wrote about him in March). Although untrained as a journalist, Higgins is one of the best examples of “citizen journalism” that I have come across in years. And he has said he will be launching his own site in the new year, aimed not just at crowdsourcing of journalism but also at teaching others how to do what he does. When taken as a whole, I think these examples provide some pretty compelling evidence that there is reason for optimism amid all the gloom that tends to accumulate around the media industry. Is it the best of times for journalism, as Henry Blodget and others have argued? Maybe not — but there is just as much evidence for that as there is for the opposite conclusion. It all depends on where you look. I for one am excited to see how these and other ventures develop and evolve. Interesting, I am struck by your comment “thinking of readers as customers is something that newspapers have never been very good at.” Why do you think it would be a good thing for newspapers to to view readers as customers? What about the newspaper’s role to serve the public interest? Of course, a newspaper cannot serve anyone if it has to shut down for lack of funds, but there is a tension in suggesting that it is part of a newspaper’s mission to serve customers. This may not be a positive development in the long run. Thanks Mathew for your insightful roundup! Your enduring sense of optimism for the future of journalism is very much appreciated. Take care. Matthew, what’s nice about your piece is unlike scores of articles, it doesn’t set out to validate existing traditional structures for their media innovations e.g. how a network is using twitter. There are very few true paradigm shifts in traditional media, so it is heartening/inspiring to learn from you about the innovators who still see cliffs and are prepared to base jump. That’s incredible that can ever happen in social media. thanks! Best thing I have read in ages.